In this podcast, Rotary member Tom McCloskey, who is the Chair of this year’s Rotary Auction and Rummage Sale, recounts the history, scale and scope of this remarkable annual event, now in its 54th year. Starting Friday June 20th you can drop off your goods. The event is on Saturday June 28th. At the Rotary Auction and Rummage Sale find a bargain on something as small as a toothpick or as large as a boat or car. Tom points out that — while the event is managed and maintained by the Rotary Club – it has become a true community-wide event. During the upcoming 11-day period, 116 Rotarians and about 1,100 other volunteers will prepare, physically work, manage, clean up and follow up. Five to ten thousand customers are expected at the six-hour event from 8am to 2pm on Saturday June 28th. Purchased goods may be picked up that day by vehicle between 10am and 3pm. To plan your Saturday shopping, attend the open preview night on Friday the 27th from 5-8pm. Meanwhile, starting on Friday, June 20th, you can drop off your donated goods at the Woodward Middle School. Use the south entrance on Sportsman Club Road between 8am and 8pm during the six days through Wednesday June 25th. 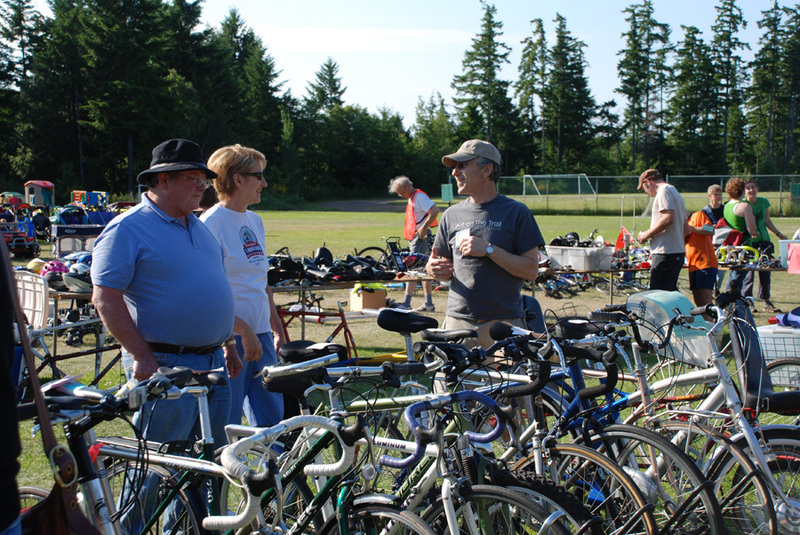 The Rotary Auction is a great place to recycle an outgrown bicycle or pick up a bargain on a choice bike. Approximately 150,000 items — some as small as toothpicks and others as large as donated cars and boats — are expected. Proceeds of the event will fund the Rotary’s annual community grants to nonprofits, plus large-scale community grants (like the Waypoint project that transformed the corner of Winslow Way and route 305). In addition, the proceeds will fund scholarships to High School students, donations to international humanitarian projects, and other worthy causes. 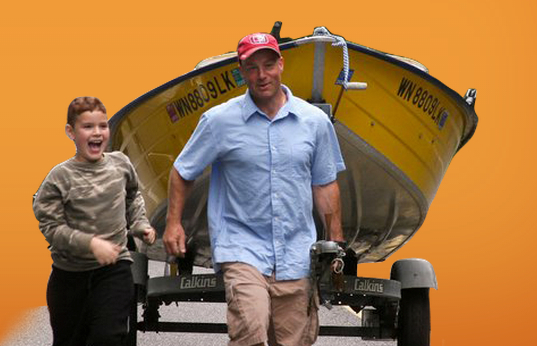 Our BCB radio project itself was a benefactor of a $7,000 portion of last year’s nearly $445,000 in Rotary proceeds in the form of a grant to our local nonprofit parent, Sustainable Bainbridge. Reduce, ReUse, Recycle. 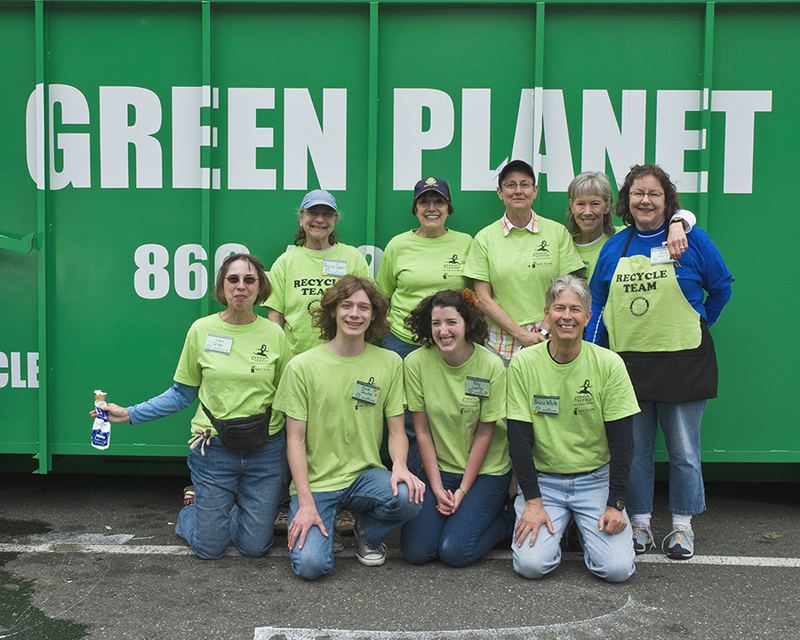 Reduce the stuff in your garage with a spring cleaning. Come buy on Saturday to reuse. And, when it’s over, the Rotary recycles. The cumulative proceeds from 54 years of Rotary Auctions is likely to pass the $6 million level this year. Tom points out that the first of those auctions generated dollars that helped acquire land for the Bainbridge Library. 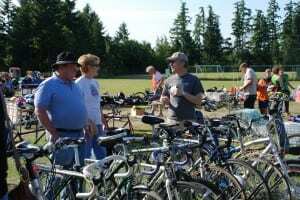 In this podcast, Tom McCloskey points out that many Bainbridge Islanders consider the Rotary Auction to be a way of taking care of their household “Spring Cleaning” while truly benefiting their community. Credits: BCB host and editor: Barry Peters. BCB ferry music: Dogfish Bay Studios. Music splash: Dave Bristow.